What is water leak detection? A leak is a hole in a water pipe line, irrigation system, sewer system, drain or geysers caused by corrosion or bad plumbing techniques. A detection method is a way to find the leak that is normally not evident to the eye. There are many types of instruments that one can use to detect the leak. There are console leak detectors,portable leak detectors and turnkey leak detectors.There are also ultrasonic leak detectors (acoustic) that plumbers make use of. The ultrasonic (acoustic) however do not detect ppm level or LEL level. It detects the ultrasound generated by the escaping gas.When there is a leak in the pipe line or waterline, fluid or gas can escape in the form of a high velocity jet. The acoustic leak detection depends also on the pressure of the waves when a leak occurs. This produces negative pressure waves which moves in both directions within the pipeline and can be detected and analyzed.The larger the leak, the more ultrasound is generated from the leak.In other words, the ultrasound is proportional to the rate at which the leak is flowing ( mass flow rate). Wind or dilution does not affect the ultrasound thus making it very reliable for outdoor leak detection. Acoustic gas leak detectors are designed to detect leaks at a rate of 0.1 kg/s at a distance up to 20 meters from the leak source. A leak can also change the hydraulics of a pipeline and therefore changes the pressure or flow readings after some time. Monitoring the pressure or the flow at only one point is a simple way to detect a leak. Such detection is very useful in steady state conditions. Helium, Argon or Hydrogen can also be used.Helium however has proven to be the most reliable with the highest sensitivity to leaks. Helium is rare in the atmosphere so there is little or no noise interference when detecting leaks. Helium is also completely inert -meaning it is non toxic and non explosives. Helium is a small,light molecule and will flow easily through small leaks. Helium is a tracer that will not contaminate or desensitize its own detector. Some plumbers prefer using an infrared detector or a JD7 bullet to detect the leaks. An infrared detector reacts to infra red (IR) radiation.There Are only 2 main types of detectors are thermal and photo detection. We sometimes refer to a photo detector as a photo voltaic detector.These detectors contain a p-n junction on which photoelectric current appears during leak detection processes. There is a high response and sensitivity time on photo detectors. They do however depend on the cooling down of thermal noise. The thermal effects of IR radiation is temperature dependent and are based on changes in resistance i.e bolometers. Anything that has an unknown body temperature,can be detected with infrared. There are many benefits to leak detection. Small leaks are often a sign that expensive problems are on the way. A camera inspection at least once a year is a good investment to see and repair a leak on time. An unattended leak can cost you a huge bill at the end of the month.Unattended leaks can also put your property at risk of structural problems. A leak can also cause damp and sinkholes to your property. 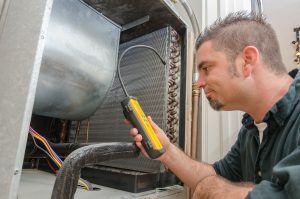 We all know that leak detection is a specialized service. Not only will Drain Ratz Plumbers & Builders find the leak but also repair the leak for you. Call Drain Ratz Plumbers & Builders,the Leak specialist for any leakage problems.